As you've grown older, gum has stopped being fun. Now it's merely something you toss in your mouth in the absence of a mint before you chat up the cute secretary. Back in the day, there were all sorts of ridiculous gums to anger your parents with as you tried to fit as much in your mouth as possible while loudly popping bubbles in the back seat. 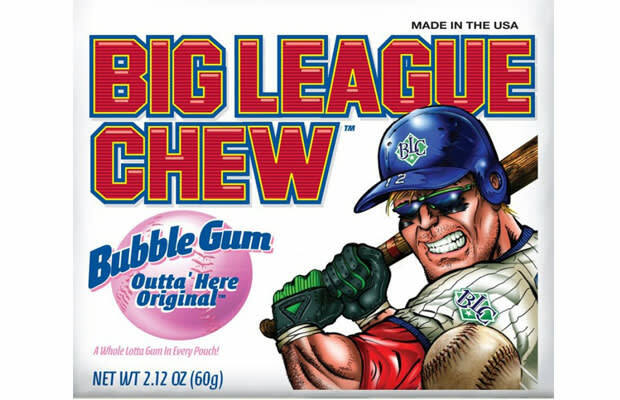 Big League Chew has to be our favorite, as it is not only a novelty candy, but also a thinly-veiled ploy to get kids to graduate to Copenhagen when they turn 18.